"A dog air bed is durable and provide a good balance between price and comfort. They are easy to clean, and can be deflated and moved from location to location. PVC material makes them puncture resistant." If you are looking for a bed for your dog, consider an inflatable air bed. Inflatable air beds hold up better than a regular dog bed. The beds maintain their shape and do not become lumpy and uncomfortable the way regular dog beds may do. 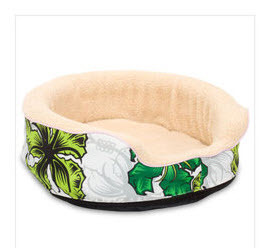 This is an especially nice feature for large dogs, who may break down regular dog beds easily. The beds inflate and deflate in a matter of minutes (some of them come complete with a pump, and some are sold separately). This makes them good for traveling and easy to store away. Some air beds are round and some are rectangular. Most have a "lip" around the sides for your dog to rest his head on. The bed itself is made of PVC, which is very durable and claw-proof. The bed is then covered with a removable cover made of something cozy like fleece. The beds are very durable. Users report that even cats with claws don't pop the mattresses, but it should be noted that the mattresses are not designed for use by cats; cats do have sharper claws than dogs, and the mattresses may not withstand their claws. You should also note that while the beds are claw-proof, they are not chew-proof. If your dog chews his bed, he's going to make a hole in his air mattress. 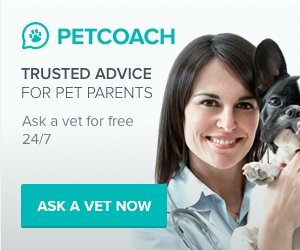 An inflatable dog bed is a good choice for dogs that have arthritis or other joint problems, because they offer excellent support. They fit the contours of the dog's body and the air creates warmth. An inflatable dog bed is also an excellent choice for incontinent dogs because they are so easy to clean. The covers come off easily and are machine washable. The bed itself can then be wiped down with water and a mild detergent. It does not absorb liquid and will not hold odors. Prices for a canine air bed vary depending upon the size and where you buy it. You can find a small inflatable dog bed for as little as $25 (air pump not included) and a large bed for $100 (air pump is included). Look for dog air beds at pet stores or stores like Wal-Mart. You can also order them online.